There are several easy ways to get in touch with The Law Offices of Deborah R. Bronner. For your convenience, our telephone number and e-mail address appear atop every page of this website (in the upper right-hand corner). Or if you prefer to first send us an overview of your case, feel free to complete this short form. We'll review the information you've sent and get back in touch when and how specify. We thank you greatly for your interest in choosing us for your legal needs. In which county is your property? Are you currently living at this property? Have you received notice that your property will be sold in foreclosure? Has your property already been sold in a foreclosure sale? Have you received a 3-day eviction notice? We have a team approach and give personal attention to every client to ensure the best possible result for getting the most out of your home and business. We are fully committed to providing the highest quality service and are steadfast in our dedication to the needs of our clients. We welcome the opportunity to speak with you at a no-cost initial consultation. For more information, contact us today! One of the 5 Best Real Estate Lawyers in L.A., as named by Investopedia! At The Law Offices of Deborah R. Bronner, we are fully committed to serving the wide-ranging needs of our clients in Southern California and throughout the State of California. We are zealous advocates for homeowners, providing a full range of services, including top of the line representation for buyers. We assist homeowners at every stage of the home ownership process and represent buyers who are just entering the California market as well as seasoned veterans. Attorney Bronner's success is owed entirely to her unmatched commitment to excellence, her steadfast dedication to each case she takes on. Attorney Bronner has developed a reputation for helping homeowners after the foreclosure sale -- to obtain surplus funds, to delay the eviction process, and whatever other legal services a foreclosed homeowner might benefit from. She is known among her clients for her tireless pursuit of providing the very best representation anywhere in California: southern California, central California and northern California. 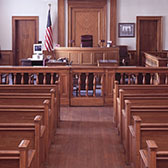 The entire staff at The Law Offices of Deborah R. Bronner believes in offering the highest level of respect to both clients and colleagues, making ourselves readily available to provide knowledgeable and insightful legal counsel, giving personal attention to each client and rendering all services in a congenial and professional manner. Call our Los Angeles office today to experience first hand the reasons Attorney Deborah R. Bronner has maintained a well earned reputation as one of the area's most passionate and principled attorneys. © 2009 - 2019. The Law Offices of Deborah R. Bronner. All Rights Reserved. The information contained herein applies the general principles of California. The law in your state may differ. Our practice specializes in home foreclosure defense in the state of California. Design, maintenance, and hosting by G.O.A.L. Web Design, LLC.